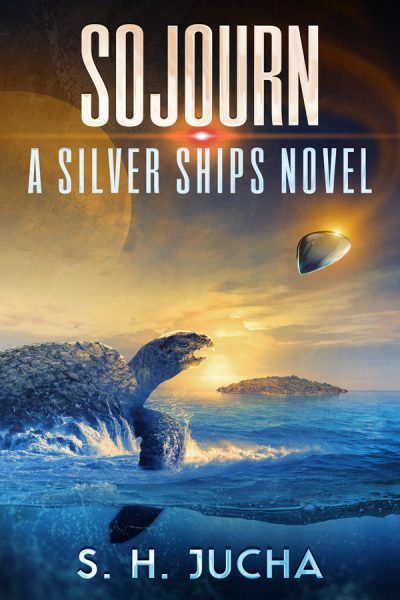 “Sojourn,” the thirteenth novel in the Silver Ships series, is now available on Amazon. The print version will follow soon. Please read the Author’s Note at the novel’s beginning. Summary: Artifice, the great enemy, has been defeated. The sister SADEs, Omnian sentient digital entities, are free from their boxes. Most humans are unaware that the sisters have duplicated themselves many more times than suspected. They now constitute a sizable, group, calling themselves the Sisterhood. The elimination of Artifice’s rule should be a time of relief and recovery for Alex Racine’s Omnian fleet and for the Toralians, whose home world was Artifice’s lair. Instead, it’s a chaotic period. This entry was posted in Readers, Uncategorized on March 21, 2019 by Scott Jucha. This is a preview of the cover of “Sojourn,” the 13th novel in the Silver Ships series. The book will be released in late March 2019. In the summer, I’ll release “Veklocks”, the 4th novel in the Pyreans series. Then in the fall, the release of “Alliance,” in the Silver Ships series, should be an intriguing read to fans who enjoy both my series. This entry was posted in Readers, Uncategorized on March 4, 2019 by Scott Jucha. 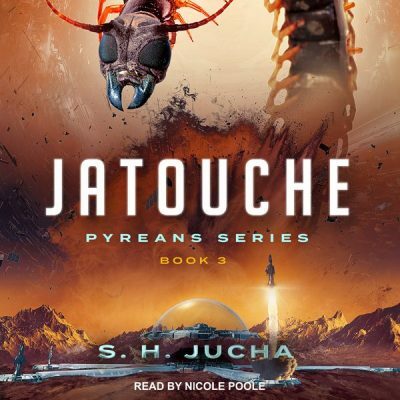 The audiobook for “Jatouche,” the third novel in the Pyreans series, is available on Amazon and Audible as of February 19, 2019. The Pyreans series is narrated by Nicole Poole, who is an Audie Award-nominated narrator. She’s the recipient of both AudioFile Earphones and Publishers Weekly Listen-Up Awards. In addition, she’s a classically trained actress. Enjoy my newest audiobook release through Tantor Media. This entry was posted in Readers, Uncategorized on February 20, 2019 by Scott Jucha. 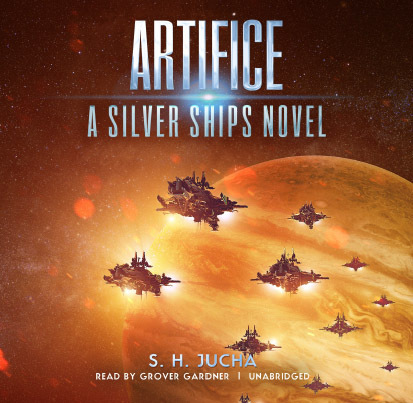 The audiobook for “Artifice,” the twelfth novel in the Silver Ships series, is available on Amazon and Audible as of January 21, 2019. The Silver Ships series is narrated by Grover Gardner, who is a talented voice-over artist. He’s received multiple awards during his career for the quality of his narrations. I hope you enjoy my newest audiobook release through Blackstone Audio. This entry was posted in Readers, Uncategorized on January 23, 2019 by Scott Jucha. 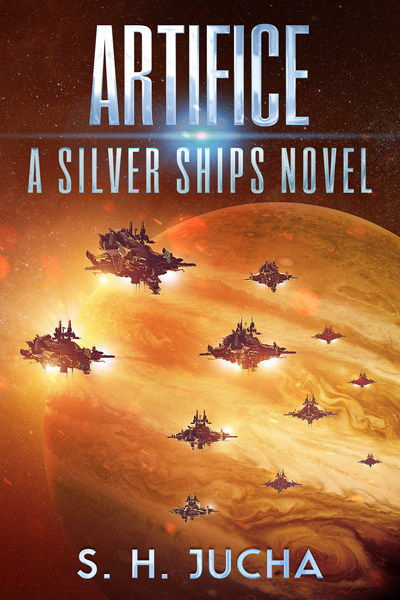 “Artifice,” the twelfth novel in the Silver Ships series, is now available on Amazon. The print version will follow soon. Summary: The great spheres and probes of Artifice, humankind’s enemy, haunt every inhabited world near and far. The Omnians’ long and arduous search for Artifice has ended. They’ve located Artifice’s lair in the Talus system. Whether or not the Omnians can gather allies to help them defeat Artifice, they don’t intend to abandon their goal and return to Omnia. They mean to capture or destroy the entity, Artifice, or die trying. This entry was posted in Readers, Uncategorized on November 26, 2018 by Scott Jucha. 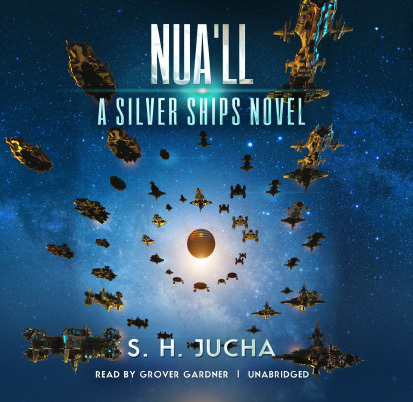 The audiobook for “Nua’ll,” the eleventh novel in the Silver Ships series, is available on Amazon and Audible as of September 11, 2018. This entry was posted in Readers, Uncategorized on September 12, 2018 by Scott Jucha. 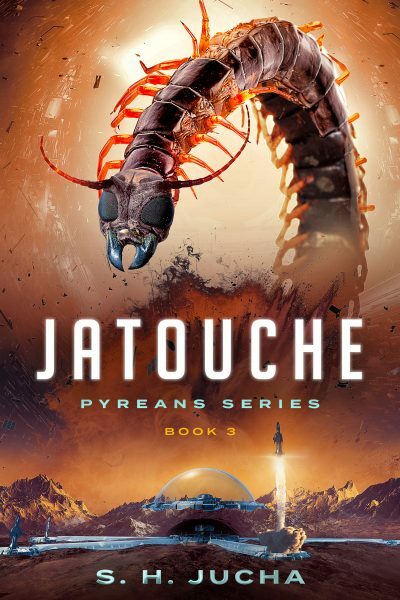 For those enjoying the Pyreans series, the “Jatouche” ebook, Pyreans #3, is available on Amazon now. The print version will be delayed a week. Amazon has requested the consolidation of book files from CreateSpace, its print-on-demand partner, into Amazon’s databases. You can keep view all my books by visiting my website at scottjucha.com. This entry was posted in Readers, Uncategorized on August 31, 2018 by Scott Jucha. 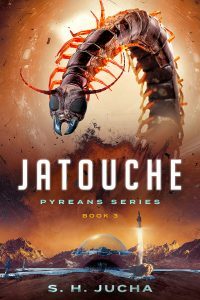 Here’s a preview of the cover for “Jatouche,” the forthcoming third novel in the Pyreans series, which will be released in mid-September. The humans of Pyre have suffered multiple cultural shocks. They’ve discovered the Messinants domes, which protect quantum-coupled gates. Sentient alien races use the gates to journey between far distant worlds. This entry was posted in Readers, Uncategorized on August 10, 2018 by Scott Jucha. 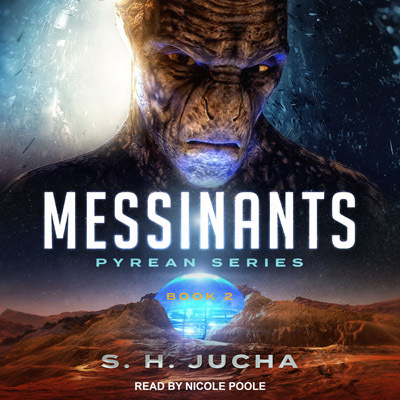 The audiobook for “Messinants,” the second novel in the Pyreans series, is available on Amazon and Audible as of May 29, 2018. This entry was posted in Readers, Uncategorized on June 14, 2018 by Scott Jucha. 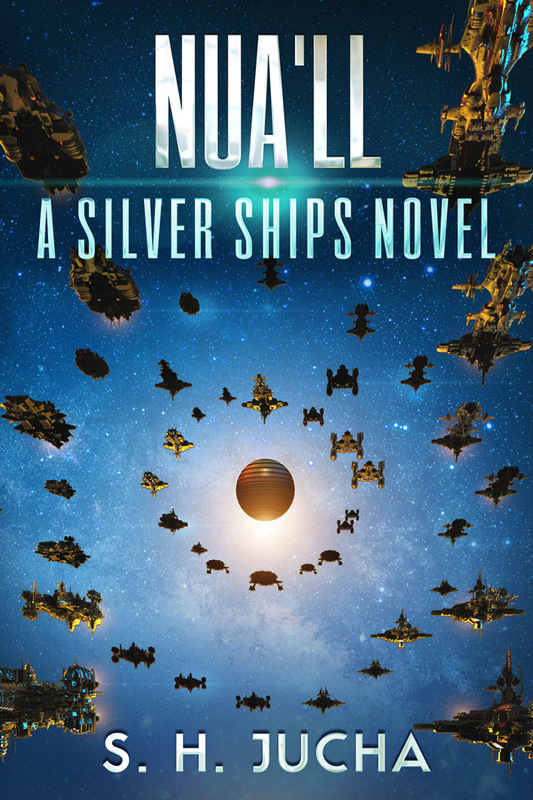 “Nua’ll,” the eleventh novel in the Silver Ships series, is available for pre-order and will be released on June 2, 2018. The print version should be available about the same date. During a previous encounter with an alien fleet, the Nua’ll comm sphere spoke in multiple languages. When the messages were deciphered, the Omnians realized they would face a vast empire composed of hundreds of races, and the Nua’ll were not the leaders of the federacy. They had spoken of masters. This entry was posted in Readers, Uncategorized on May 27, 2018 by Scott Jucha.